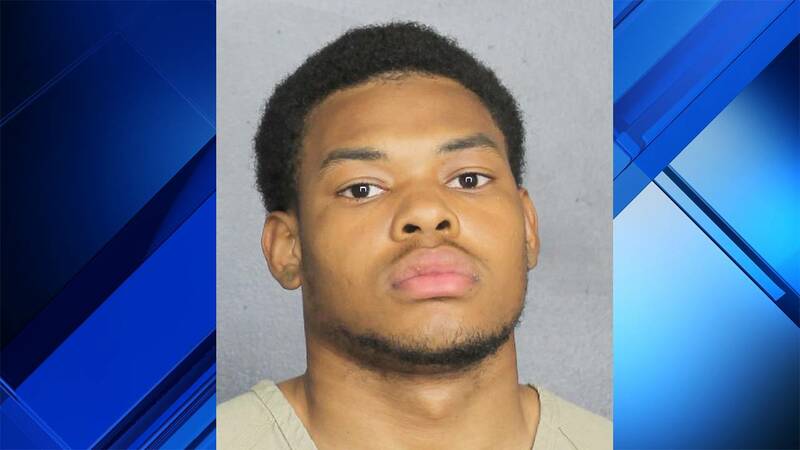 PEMBROKE PINES, Fla. - Pembroke Pines Police Department detectives arrested a suspect in the murder of Kadeem Smith, a 23-year-old Charles W. Flanagan High School graduate and a former U.S. Army recruit. A detective called Smith's mother, Marie Senior, to give her the news. "The first thing I said was, 'Thank you Jesus.' they did arrest somebody ... at least people will be brought to justice a little faster than later," Senior said. The suspect arrested Friday was identified as Bryan Carl Fenders Bernadelle, 19, of Pembroke Pines. Bryan Carl Fenders Bernadelle, 19, is accused of fatally shooting a man in Pembroke Pines. Smith was killed early Tuesday morning after working a Monday night shift at Cooper's Hawk Winery & Restaurant, about a mile away from his home. His brother, Keith Wynn, said Smith told him he felt like someone had been following him. When Smith returned home to the Bella Grand complex at 745 NW 103rd Terrace, he was nervous, so he walked out to the porch, Wynn said. News of his death hurt those who met him at Charles W. Flanagan, where he dreamed of a career in the U.S. military. Jeshua Quintana said he got to know Smith when they both participated in the U.S. Army's delayed entry program before going to boot camp at different bases. "He was a really good person, and he was confident in everything he did," Quintana said. Smith enlisted as a cavalry scout and left for boot camp August 2014. He left training to undergo surgery and to deal with a medical condition, his family said. On Facebook, Smith identified himself as a former 19D armored reconnaissance specialist in the Combat Arms branch. He was also proud of his Jamaican heritage. Senior is planning a funeral and wants to move out of the home where she saw her son's body. A relative set up a GoFundMe account and wrote that the grieving mother "has been left to live with the consequences of someone else's evil," and she needs help.